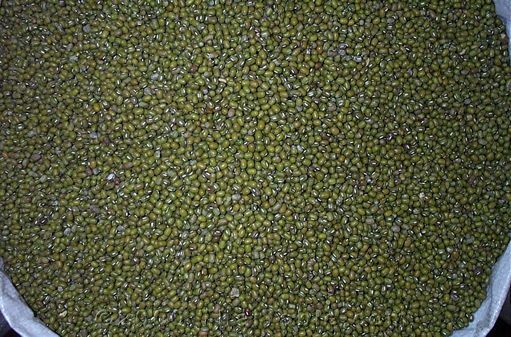 These mung beans are still covered with their green skins. You can grow your own bean sprouts by soaking the mung beans in cold water. Keep the soaked beans in a cool place. The root will start to sprout within a couple of days.